Looking for a Taxi in Cambridge MA? Cambridge Taxi Cab is your Cambridge cab and shuttle connection. We pick up in every city throughout Greater Boston, including Cambridge, as well as shuttle service to and from Logan Airport. Our fleet of late model vehicles are clean, safe, well maintained and now even include Hybrid Taxis. Cambridge Taxi Cab blends State-of-the-Art technology and good old fashioned service to provide an unparalleled customer experience. By utilizing the latest in web and phone based technologies we are able to quickly and efficiently meet your shuttle and taxi cab service needs throughout Cambridge and Greater Boston. 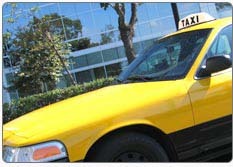 Here on our website you can even reserve a cab online, estimate a shuttle or cab fare, and even track your trip online! Whether you are coming in for business or pleasure, need to get around town, or just need a taxi to Logan Airport, let Cambridge Taxi Cab get you where you need to go. Hybrids, Natural Gas & Vans are all Available!